There are two ways to check how much RAM you have. 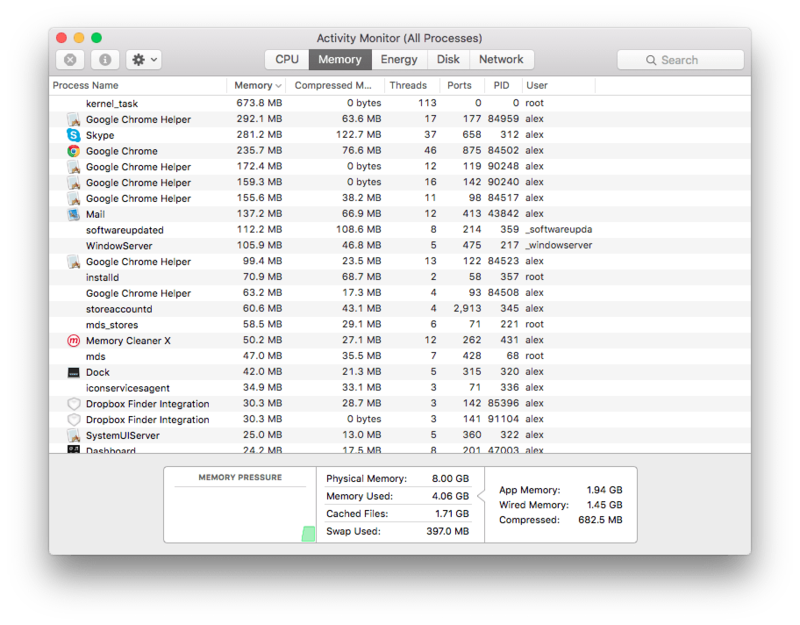 The standard way to check memory usage. Check RAM usage with Memory Cleaner. Go To Apple Menu (find a sign  in the top left corner of the screen). In appeared window go to Memory section. 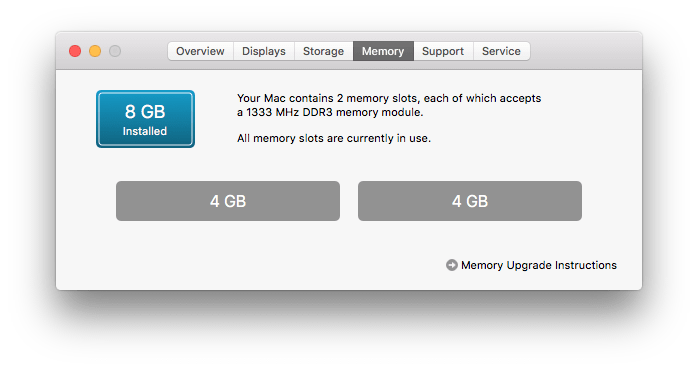 Here you can see how much memory is installed on your Mac. Launch Activity Monitor application. You can find it in the Launchpad. At the bottom of the window, you can see an amount of used memory, operation diagram and other information of RAM usage. In the main window, you can also view detailed information about the memory usage of all processes. 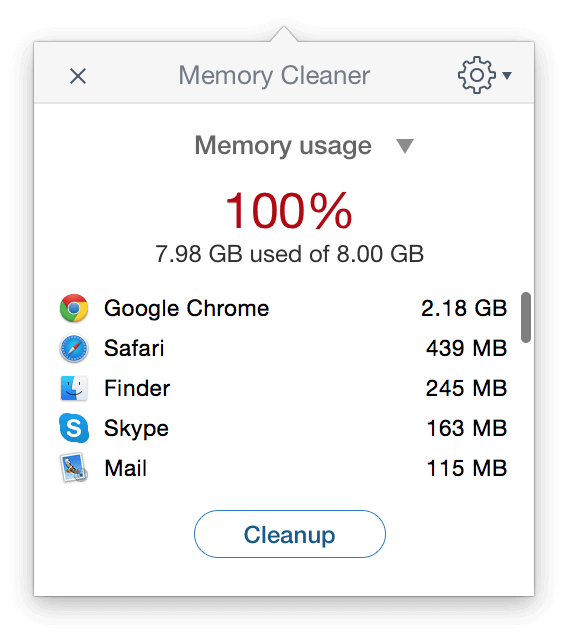 You can view Mac memory usage with a free application Memory Cleaner designed to clean inactive RAM and accelerate Mac. Besides basic functions, Memory Cleaner includes small and handy RAM monitor.